i really like this picture, but this one also reminds of Weiß Kreuz again. i have a similar image of the WK boys on a shitajiki. positioning and everything, wearing light colors. but i like this one better. it feels airy. i borrowed the flower petals from an image by DH, a friend of mine that i've known since middle school. 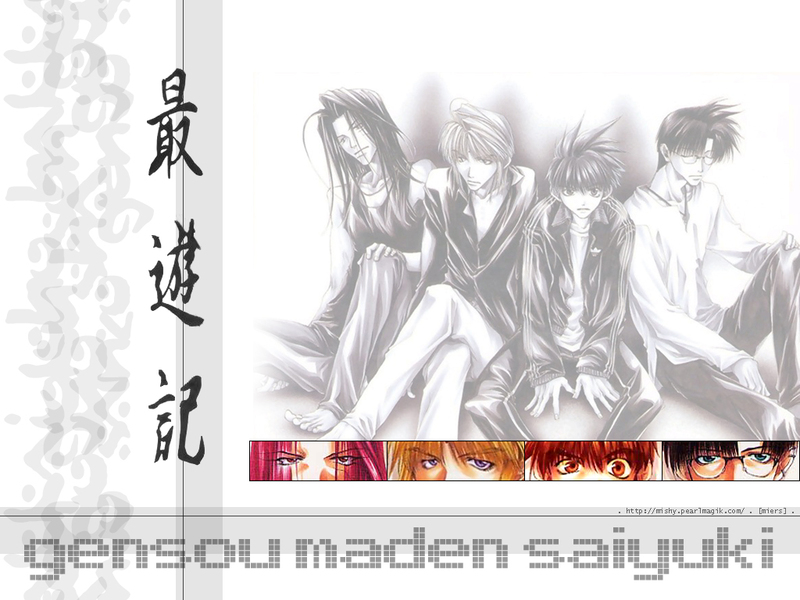 i made this wallpaper a while back (march '02) but i didn't put it up 'til now (nov '02). i don't have much of an opinion of this wp. maybe it feels to busy. like the one i made before this. oh well. oh my. these guys are hot. :D hmm doesn't it look almost exactly like Weiß Kreuz? o_O hehe. s'ok. 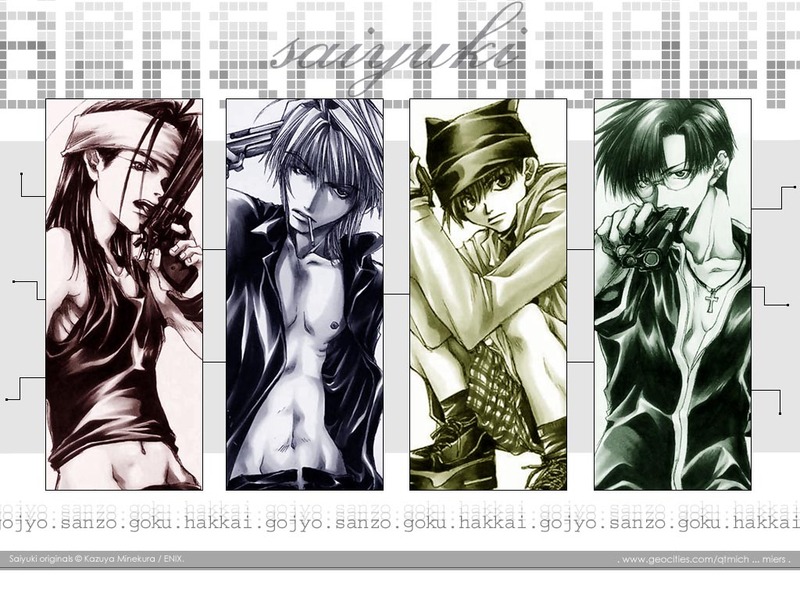 i dunno if i like the way sanzo is pointing the gun at his head tho. o_O that's kinda weird but overall, i like it ^_^ yay for me.